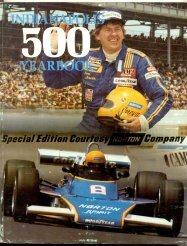 Carl Hungness began publishing an Indy 500 yearbook in the same tradition as Floyd Clymer in 1973 with both hard and soft bound editions available. In 1980, Carl filled the gap between the Clymer yearbooks and his own by publishing all four missing years in a 1969-1972 yearbook in hard bound only. 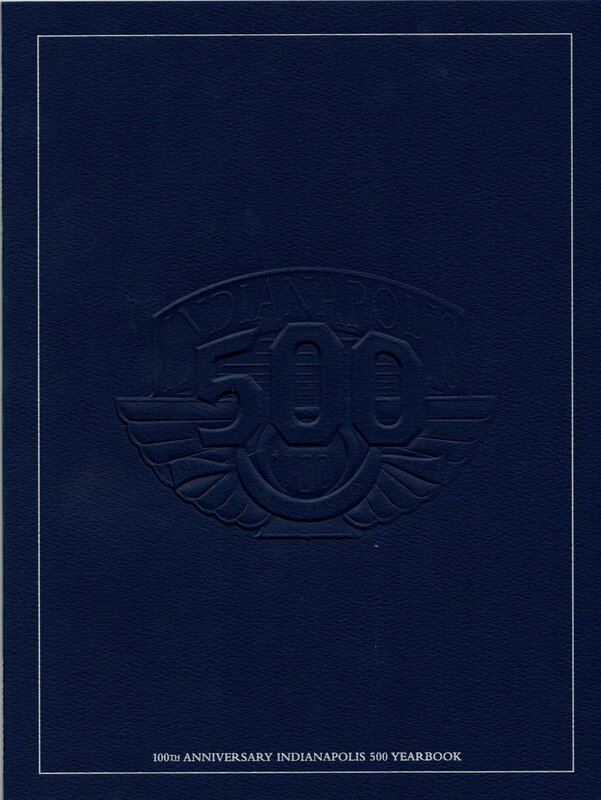 It is the only Hungness yearbook to have a dust jacket. Printing in the 1969-1972 yearbook was poor to good at best so the yearbook was reprinted in the 1990’s to correct this problem. 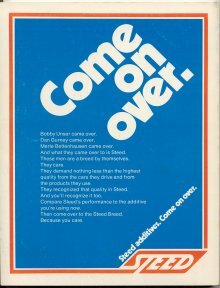 The covers to 1974, 75, 76 & 77 combine pictures and/or paintings of the winner are used on both soft and hard bound editions. 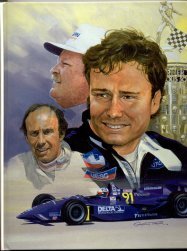 From 1978 through 1997, they are all paintings of the winner. 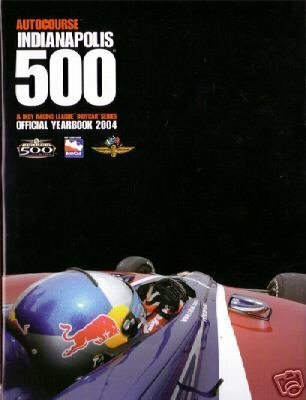 In 1996 Hungness combined the IRL Indy 500 & CART U.S. 500 yearbooks in a hard bound version while the soft bounds are separate books. The hardbound covers are shown. The separate softbound covers are identical. 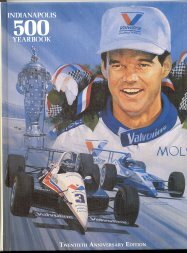 There are at least three soft bound special editions known of Hungness yearbooks published for various sponsors or teams. Those known are: 1976 Champion Spark Plugs, 1977 The Norton Co. and 1986 Helmegarn Racing/Living Well. Only the covers are different from regular versions. If you know of any others, email NI500CC@NI500CC.COM and we'll post it. 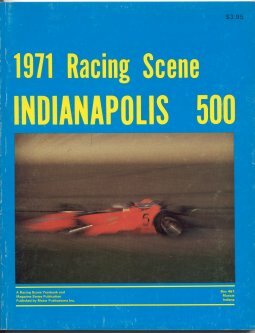 There is a soft bound yearbook published by Motor Publications Inc. which covers 1971 titled "1971 Racing Scene Indianapolis 500". 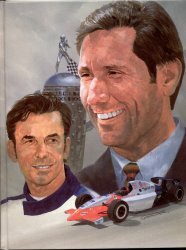 There is also a yearbook/magazine published by Champion Sports Publishing Corp. titled "Indianapolis 500, 1972 America's Most Popular Sporting Event" which reviewed the 1971 race, forecast the 1972 race and had articles and pics about the history of the 500. Both of these are relatively easy to find. 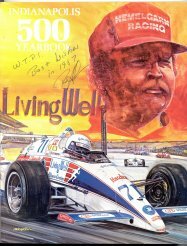 IMS Historian Donald Davidson published a yearbook for 1974 and 1975 in soft bound with the '75 the tougher of the two although Donald has said they made equal numbers of both. 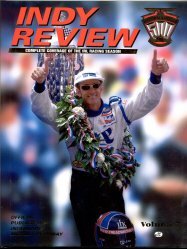 Both are very good sources of information about that years race and especially of races past. 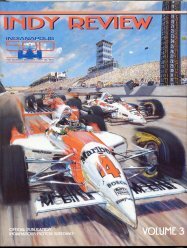 In 1991, the Indianapolis Motor Speedway began publishing it's own yearbook titled "Indy Review". They are all hard bound with dust jackets and are similar in form to the Clymer and Hungness yearbooks however, they emphasize more the current year and are not much on historical information like the Clymer and Hungness yearbooks were. 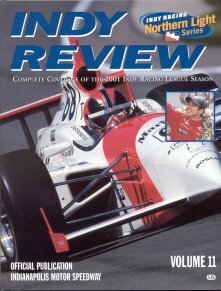 With the 1996 Indy Review, the Speedway began covering the IRL season along with the Indy 500. 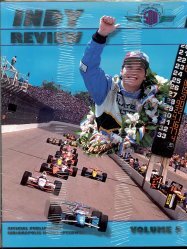 When Carl Hungness ceased publication of his yearbook in 1997, the Indy Review became the only yearbook about the Indianapolis 500 available. 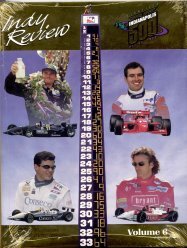 2001 is the last Indy Review Yearbook issued by the Speedway. 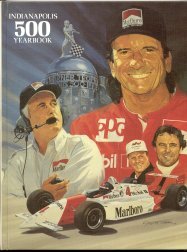 2002 marks the first year that a yearbook was not been produced since Clymer stopped publication after 1968 and Hungness resumed yearbook publication in 1973. 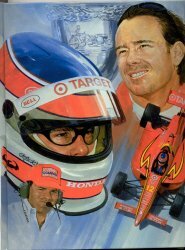 The 1998 and 1999 versions with the IRL series sponsor Pep Boys logo are the two harder versions to find. 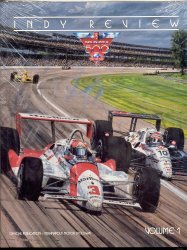 Supposedly*, after they were no longer the series sponsor, they were removed from the IMS gift shop and no longer available from IMS. 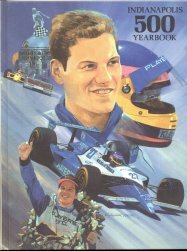 There is no 2002 yearbook but Autocourse did publish yearbooks in 2003 and 2004 in hardbound only. 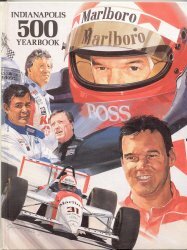 The 2004 version was not available at the Speedway and had to be purchased overseas. It is also the tougher of two to get. 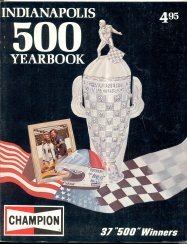 No yearbooks were published from 2005 through 2011 but the Speedway did publish a 2011 and a 2012 yearbook which were shrink wrapped along with the programs from 2012 and 2013 respectively. 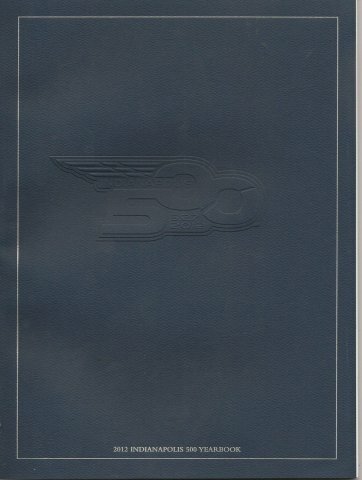 They are relatively thin (20-30 pages) yearbooks which review the month of May for 2011 and 2012 with each having the corresponding event logos embossed on the cover. If unwrapped the odds go up the two may get separated which over time will make finding the program and yearbook together harder to do.